If everything went as planned, I got back from Creativation late on Monday and took Steve in for a medical procedure yesterday. I plan to get my Creativation posts up starting on Monday. In the meantime, I wanted to show you the progress I've been making toward one of my 2019 resolutions. One of my goals was to make a page on my blog to house all of my animal crafts. But once I saw how many there actually are, one page became six. 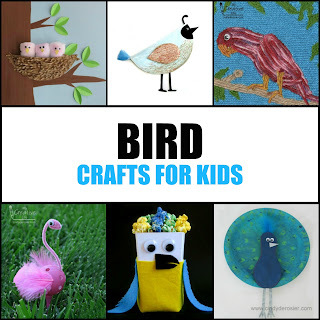 I've completed the first, Bird Crafts for Kids, which has 47 different crafts. I had no idea I'd done so many bird crafts! I'm making good progress on my Invertebrates page. It should be ready to share tomorrow. Steve is doing well, thanks!